As the resident photographer for Outstanding in the Field, Neringa spent three months traveling across the western United States with the ‘restaurant without walls’. 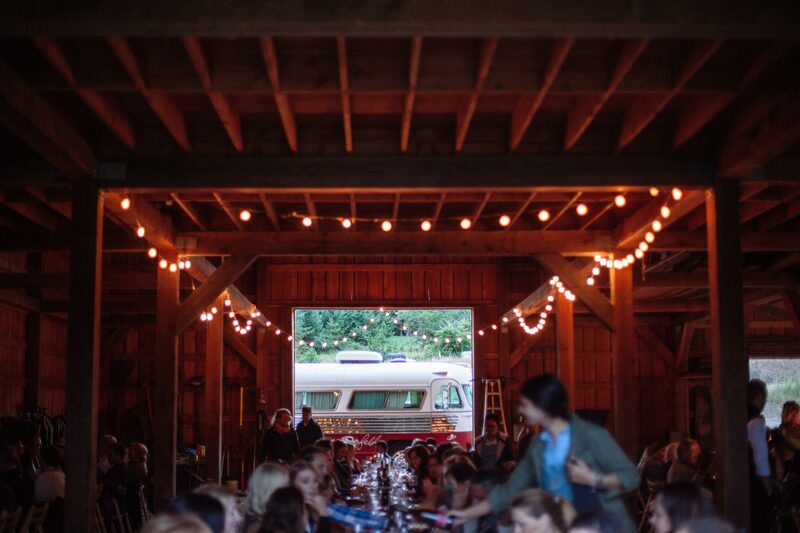 She documented life on the road of a roving culinary adventure — meeting the farmers hosting the events, setting up the long table on beaches, farms, and mountain tops, and taking their bus location to location over the summer. 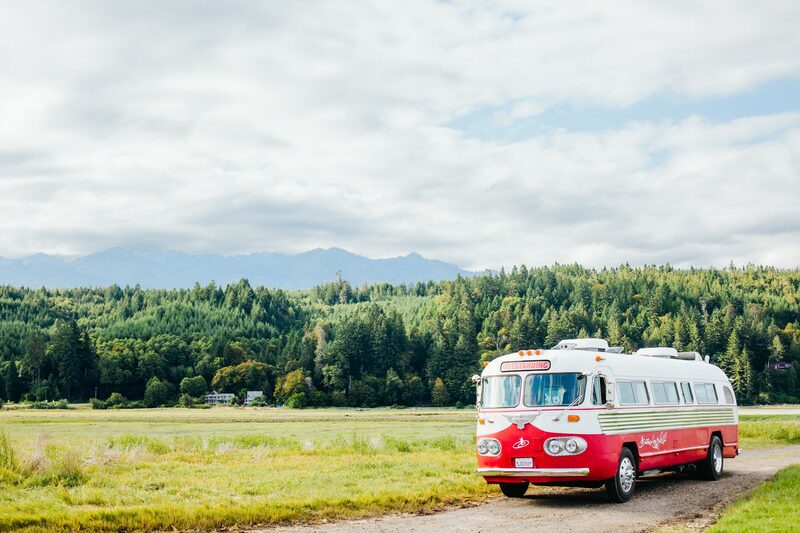 Waking up in a field in the west coast of the United States in a 1958 flexible bus, not knowing where you are. Last night you drove in darkness and didn’t know what you would wake to, and this morning the sun is revealing the fields of gold around you. 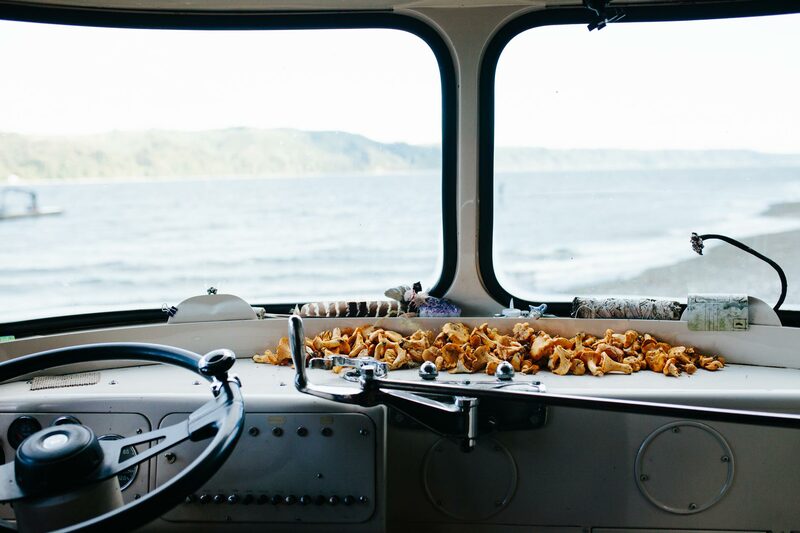 You get into the bus with the eccentric bus driver, winding your way down the coastal roads to the next location: a secluded bay surrounded by a forest, with an oyster farm. You’re greeted by the local staff with a welcome drink, a selection of oysters and a tour of the oyster farm. One by one the rest of the team of ten arrives. In the afternoon you go mushrooming for chanterelles in the forest. Someone starts a barbeque on the beach and you are offered a roasted oyster with a sundowner to drink. As night falls, the whole team goes for a swim in the bay and the ocean lights up with each movement of your body, each wave. It’s your first time seeing luminescence and it’s magical. The team falls asleep under the stars, some people in hammocks. 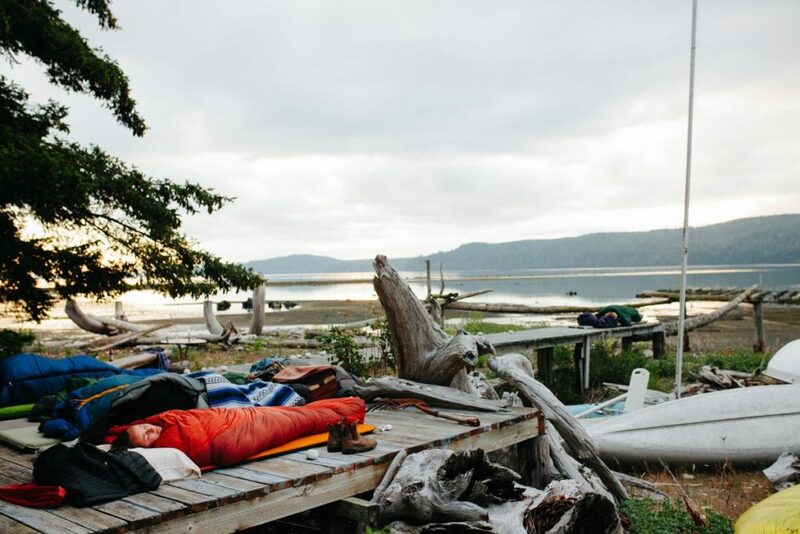 You fall asleep in a wooden cabin on the water, listening to the quiet rhythm of the sea. It took five years of dreaming to get here. Neringa came home from her job as a cheese vendor in Paris one dark winter day feeling depressed and exhausted. She felt uninspired working in an office job, the dark weather mimicking her own depressing feelings. She deserved better. But she was out of energy to make a change in her life in Paris. She had been following Outstanding in the Field for five years on social media, telling her friends ‘This is what I want to do’ but never taking the leap to do it. But this depressing night she decided to make a change. She went to their contact page and dialed the number listed and was surprised when Outstanding in the Field founder himself Jim Denevan answered on the other end. He liked her, he liked her photography blog and she joined them for two weeks as a volunteer, touring with them around the US. Two years later Outstanding in the Field contacted her and asked if she would join them for three months to be their resident photographer and help create a book about their culinary adventure. Now she was ready to take the plunge. She told her office that this was something she had to do, and rather than lose her forever they agreed to give her the leave and hoped she would return at the end of the summer. 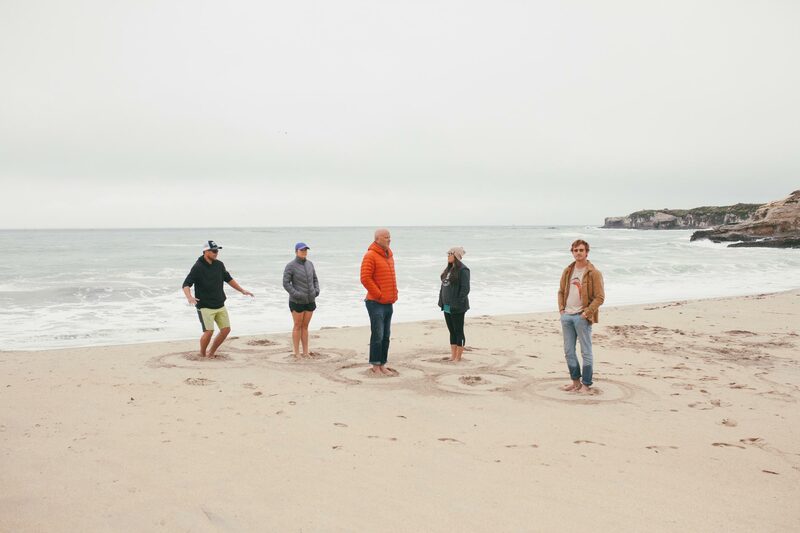 Neringa joined the Outstanding in the Field team for 30 events across California, Oregon, Washington, Idaho, Wyoming, Nebraska, Colorado, Iowa, Minnesota and British Columbia (Canada). 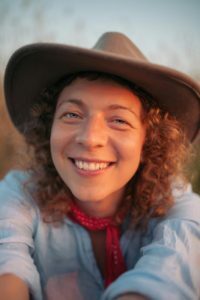 Every day she was surrounded by creative, like-minded people who all shared an interest in food, honouring local farmers and food artisans, and re-connecting diners to the land and origins of their food. The team was kept very busy, often with little sleep, but were constantly energized by the experience. 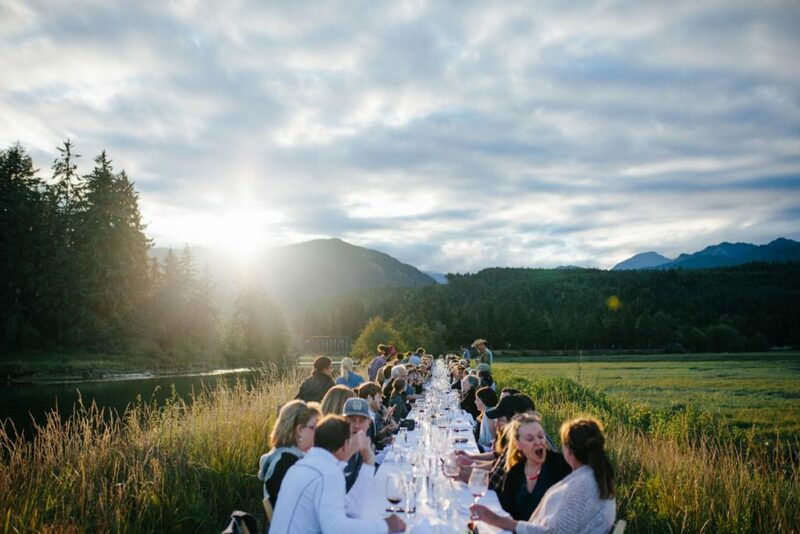 It would take a whole day to layout the table in the landscape, set the table and make the preparations. 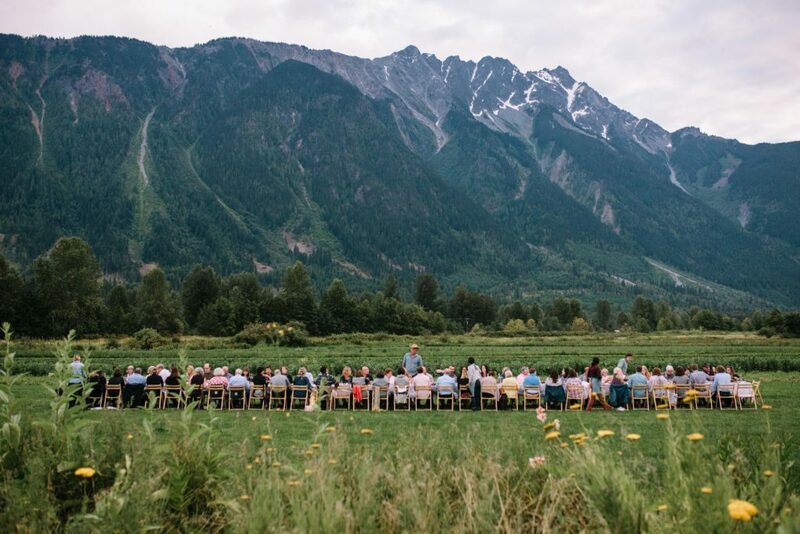 Events were the busiest days, hosting 130-200 guests for a drink and appetizer reception, a tour of the local farm, and a multi-course dinner with paired wines. Travel days were usually 6-8 hours on the road, but often much more. She was challenged creatively, emotionally and physically every day, but grew immensely from the experience. She grew as a professional photographer. She grew in her experience of the world. She learned how far she could push herself. And she refuelled. It was really hard for Neringa to come back to her office life in Paris. She reduced her work hours and applied to move to Lyon where she felt more at home. And after four months of trying to make small changes to her life, she knew now that she had to make a big change. She quit her job and is now looking for a new job in photography or the culinary arts. Before she went on her sabbatical, Neringa was constantly looking for an escape. She spent her free time researching places to travel to and constantly had her mind with one foot out the door. After this adventure she is now focused on building a life around her, and building a home in Lyon. She wants to continue to travel but her priorities have changed to become more settled. It was no small task to document life on the road for Outstanding in the Field — photographing, photo editing, creative sparring with the team, and creating the book after the team had all gone home. Having the book continue beyond the adventure was a great way to stay involved after the sabbatical. Neringa also thinks having her own continuous project — like photographing gas station life — could have been something for her to build and continue beyond the sabbatical that would have been all hers. All images courtesy of Neringa Sunday. 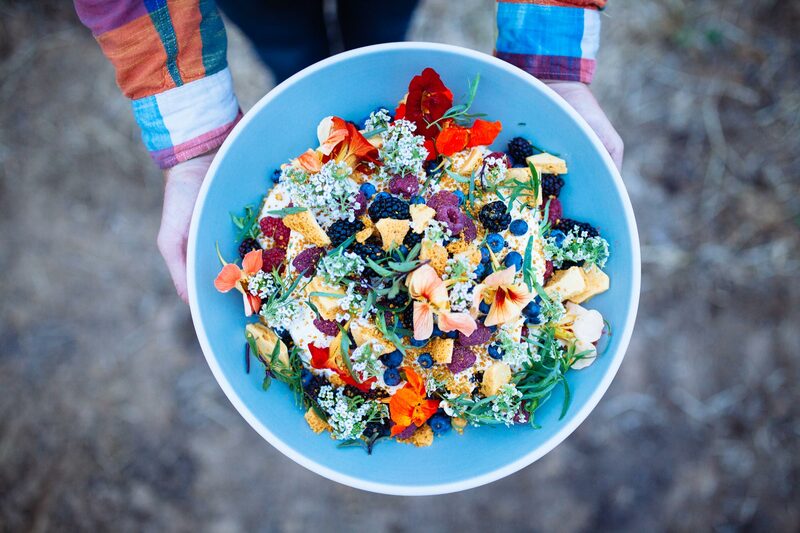 Neringa Greiciute is a Lithuanian-born food and farm lover and photographer based in Lyon, France.